Arleen is a partner at Koskie Minsky LLP and the head of the firm’s Employment Law Group (an area in which our firm ranked among top-rated firms according to Lexpert/American Lawyer Guide to the Leading 500 Lawyers in Canada). 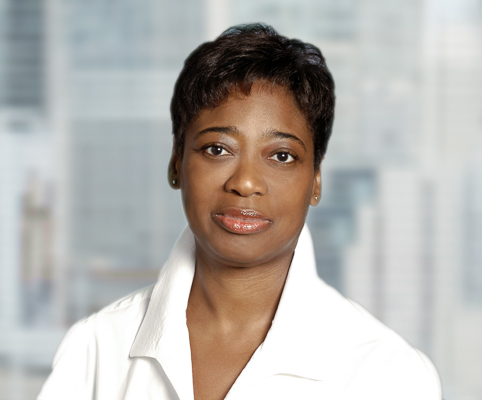 Arleen Huggins’ expertise lies in employment law and human rights; commercial litigation; mortgage enforcement and litigation; commercial leasing litigation and real estate litigation. In the employment law area, Arleen acts on behalf of both employers and employees. Arleen is sought to provide opinions and to litigate all types of employment-related disputes at various court levels, including the Ontario Superior Court of Justice, the Divisional Court, the Court of Appeal and administrative tribunals. She has extensive experience drafting and negotiating complex employment contracts and related documents, including non-solicitation and non-competition agreements and shareholder agreements for employers and executives. She also represents both employer and employees in disability claims and in the area of human rights. She is also experienced in investigating workplace harassment allegations and related matters. Arleen’s commercial, commercial leasing, mortgage and real estate litigation practice, with a particular emphasis on beneficial ownership interests, includes both the resolution of disputes, as well as litigating at various court levels, including the Ontario Superior Court of Justice, the Divisional Court, the Court of Appeal and administrative tribunals. Arleen is a regular speaker for the Ontario Bar Association, the Law Society of Upper Canada, Osgoode Hall Professional Development and others, including presenting at a variety of seminars on employment law, human rights and civil matters. She has authored various topical articles and papers in her areas of expertise, including “Taxing Issues”, relating to CRA rules in the context of wrongful terminations; Fixed Term Employment Contracts; Severance and the Disabled Employee; and Drug and Alcohol Testing. Arleen is an experienced practitioner who is well-respected by clients and lawyers for her legal expertise and practical resolution of complex legal issues. Her clients include private corporations in a variety of industries, pension and trust funds, disability plans, Not-For Profit organizations, and individual employees. Severance and the Disabled Employee – Egan v. Alcatel Canada Inc.